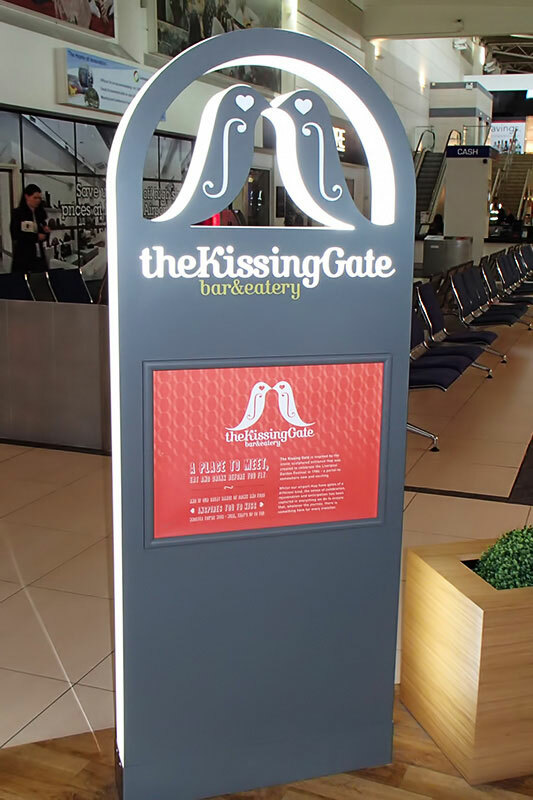 Monolith, Totem and Pole signs are large freestanding structures designed to attract attention from a wide area. 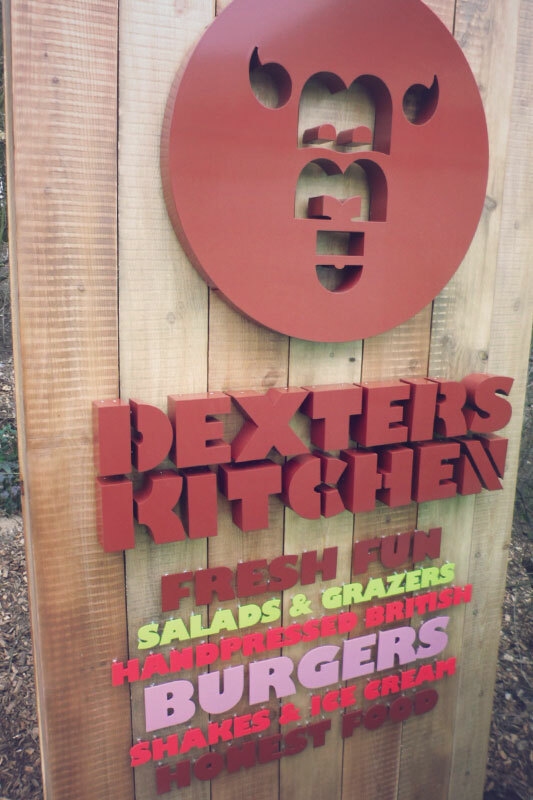 This type of sign will guarantee maximum visual impact for your company/brand. 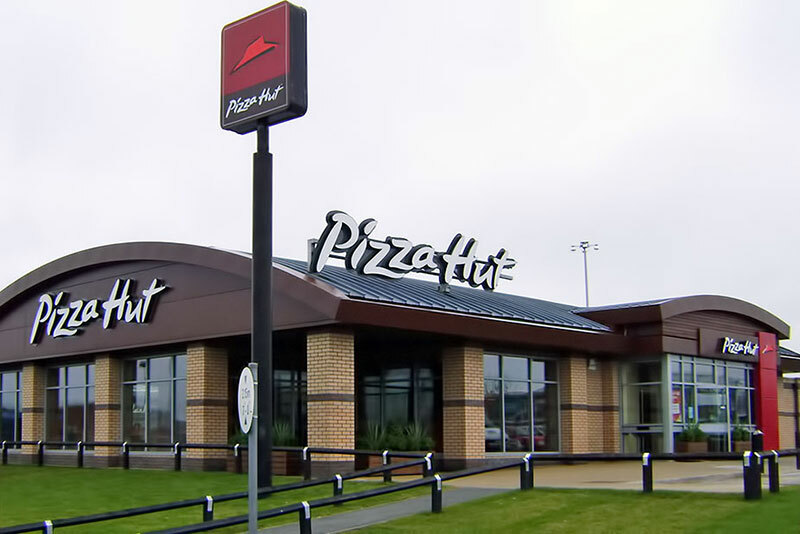 Retail parks, Shopping centres, Schools and Universities, Car dealerships, Restaurants, Business premises and trading estates. 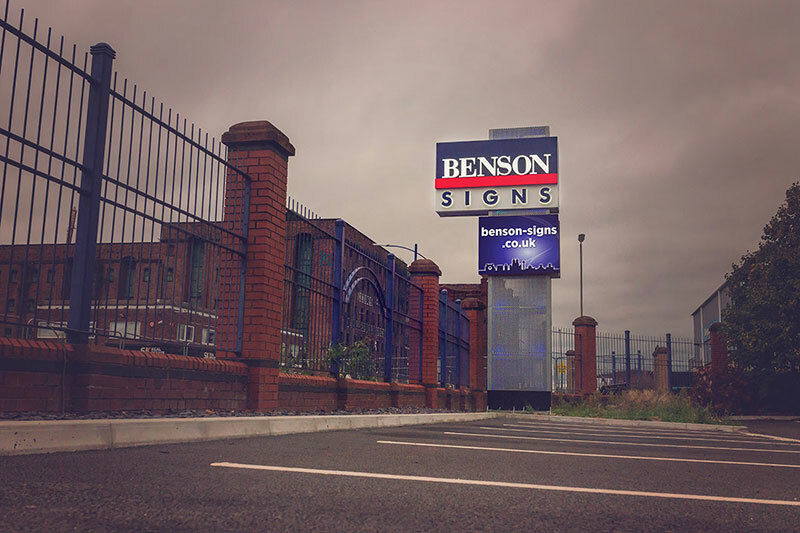 Benson Signs have a proven track record of manufacturing these signs for all of the above. 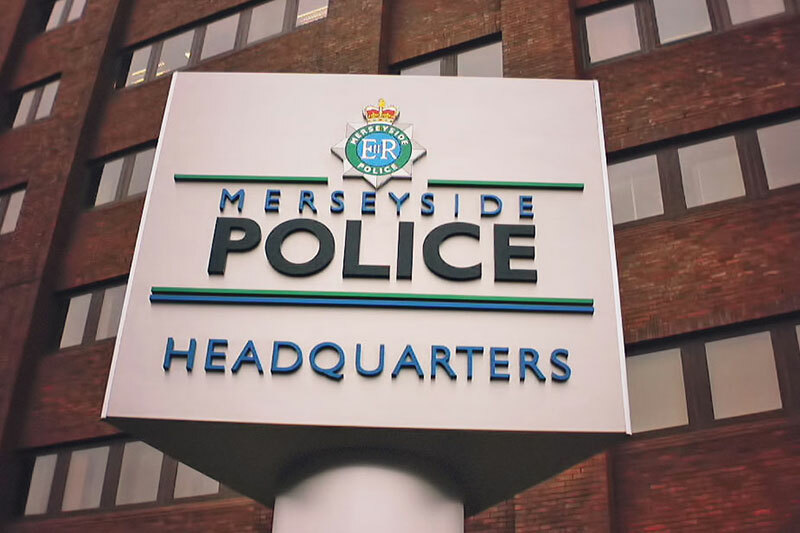 There may be an illuminated sign box supported by a steel post traditionally known as a pole sign or a fully cladded structure often referred to as a monolith sign. Materials can vary from powder coated aluminium, brushed stainless steel to hardwood timber cladding. 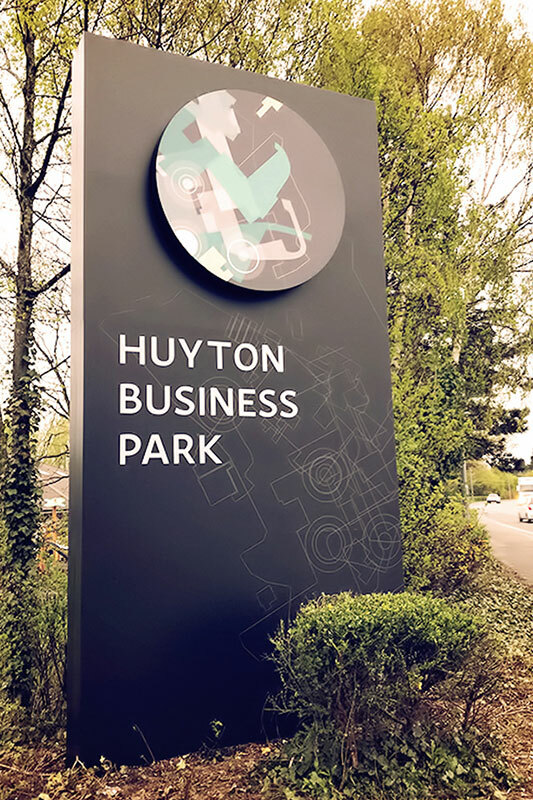 Our own company sign has recently been replaced due to a road widening scheme and features a large illuminated header box fixed to stainless steel perforated cladding with an intergrated LED screen for additional advertising. 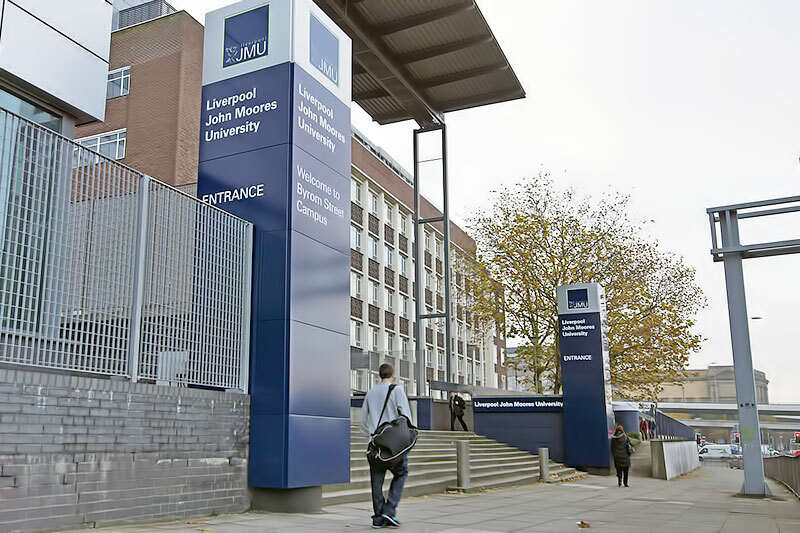 Our technical sales team can advise you on the best solution for your budget including materials, groundworks, illumination.etc Take a look at the completed projects below for some inspiration, ideas on what we can do for your company image. Re-cladding in powder coated aluminium with LED illumination to header section. 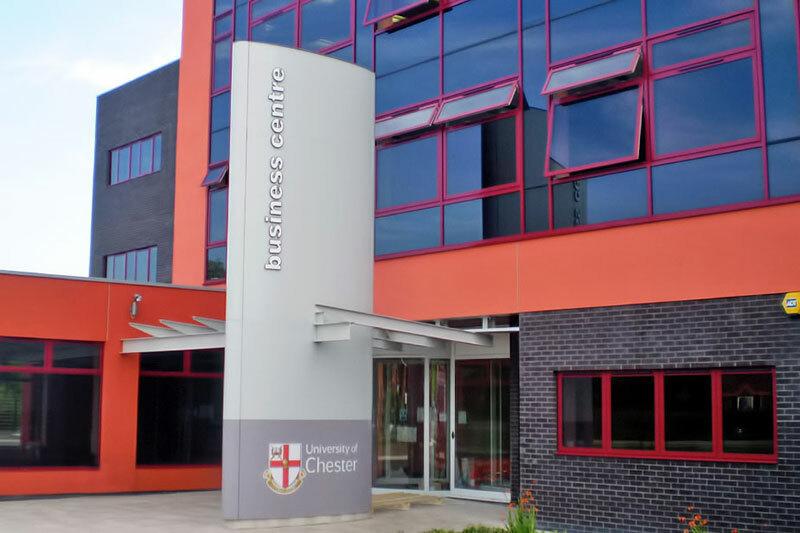 Freestanding structure clad around entrance canopy at University of Chester Business Centre. 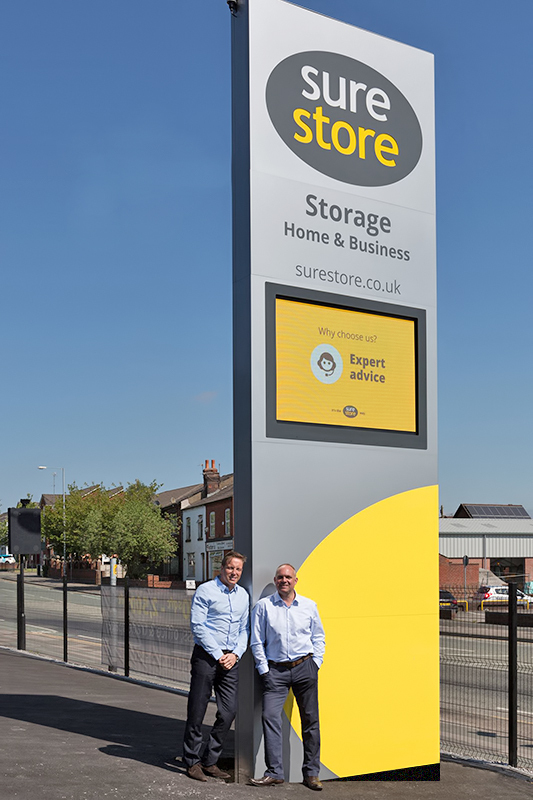 Double sided monolith sign with built-up face & halo illuminated letters and integrated digital display. 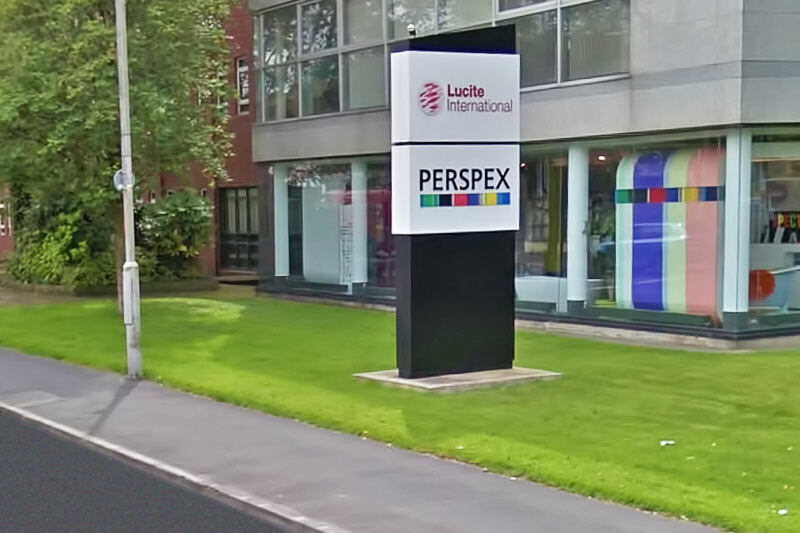 Freestanding monolith sign with internally illuminated boxes at Perpex headquarters, Darwen. 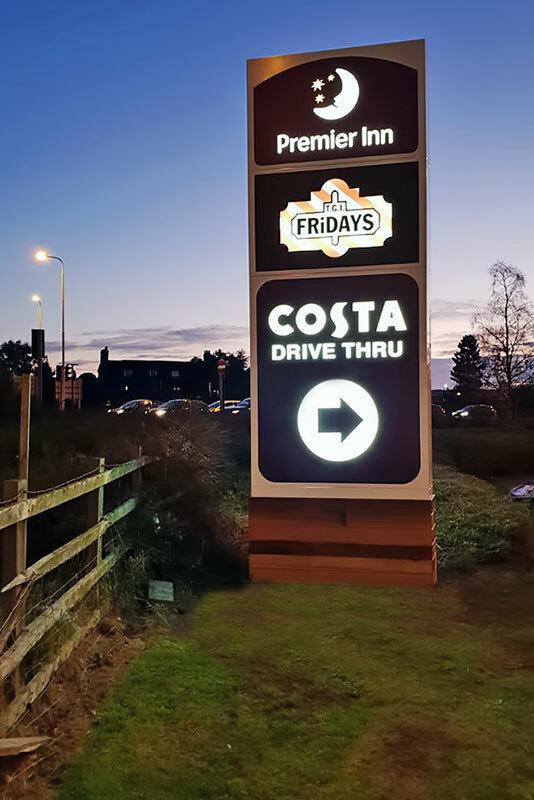 Shared illuminated totem sign at Binley, Coventry. THE VALLEY SHOPPING CENTRE - EVESHAM. Freestanding structure clad with hardwood, aluminium letters to header section with individual illuminated boxes for tenants. Re-clad existing sub-frames with brand new sign on the outside whilst retaining the infrastructure of the old. 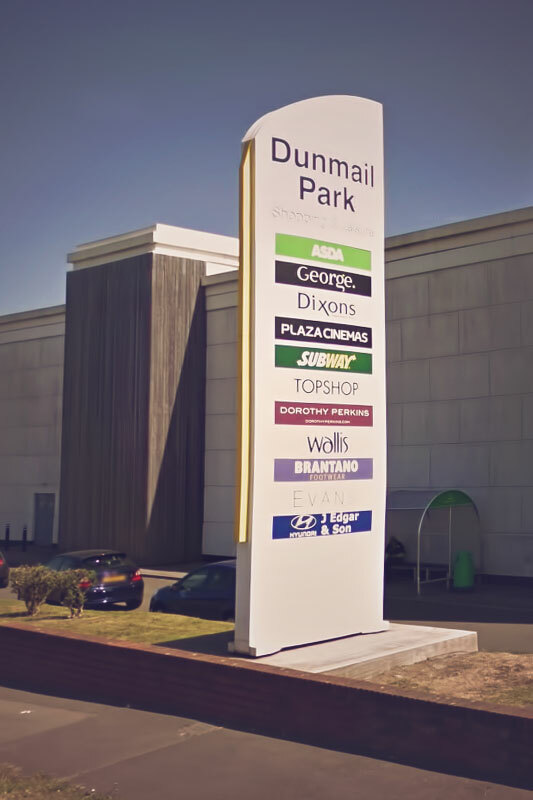 Dunmail shopping park with internally illuminated sections for individual tenants. 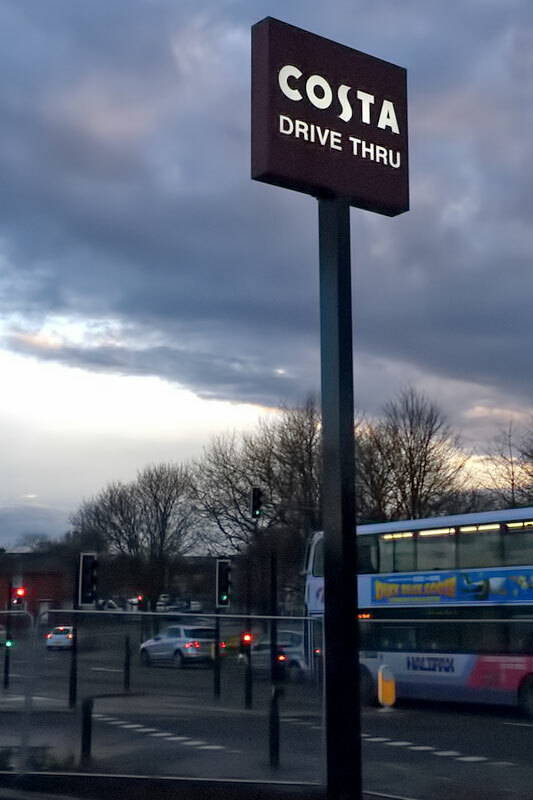 Illuminated aluminium box sits on top of steel post at Costa Coffee Bradford Drive-Thru. Freestanding structure clad with hardwood, aluminium letters on studs with halo illuminated built up logo. 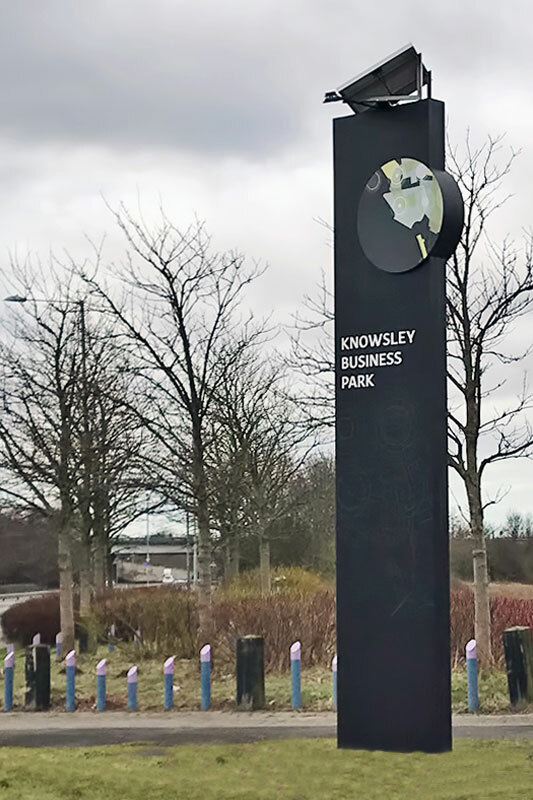 5 metre tall, freestanding totem sign with solar panel light unit fitted to the top to provide illumination. 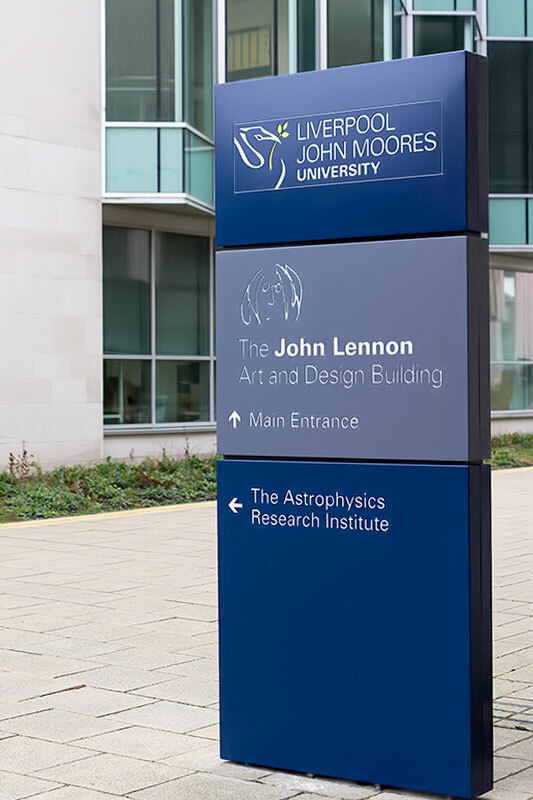 Freestanding monolith sign with fret cut details and backed up with opal acrylic. 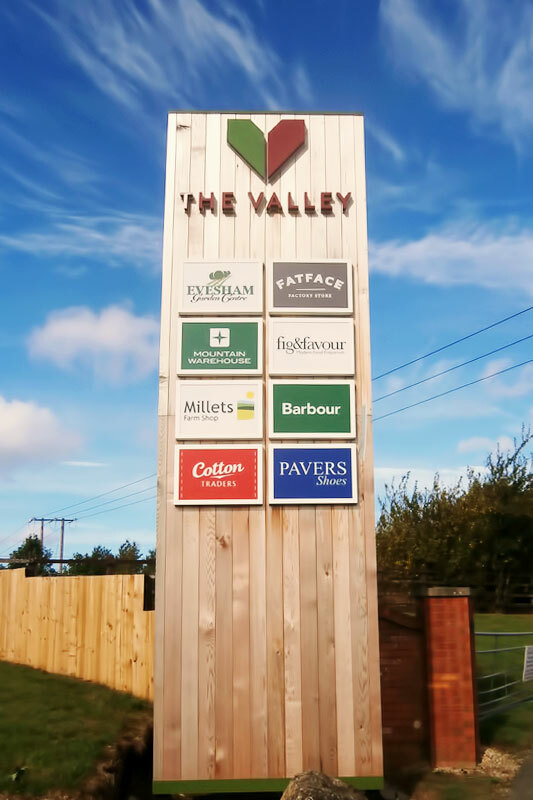 Freestanding totem sign with integrated digital display. 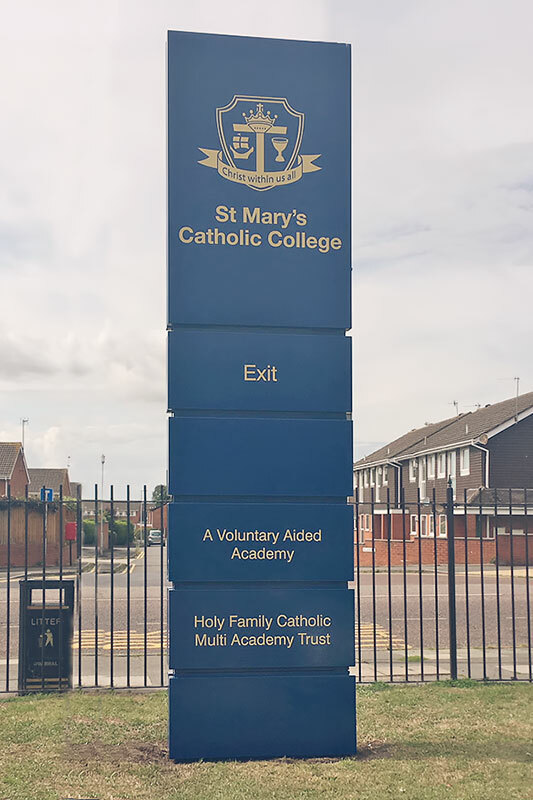 Freestanding aluminium monolith sign at wallasey school. 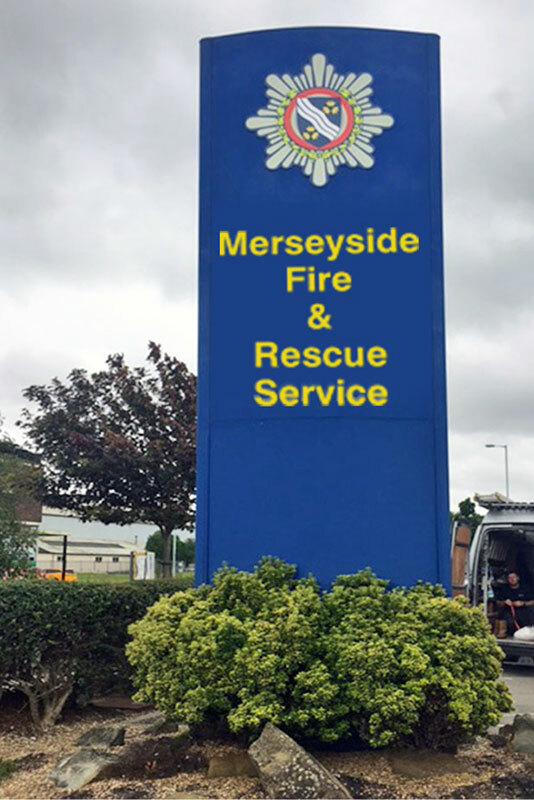 Freestanding totem sign at Merseyside Fire headquarters, Liverpool. Freestanding structure, clad with edge lit acrylic and integrated clipframe. Moto site with brand advertising adjacent to busy motorway.